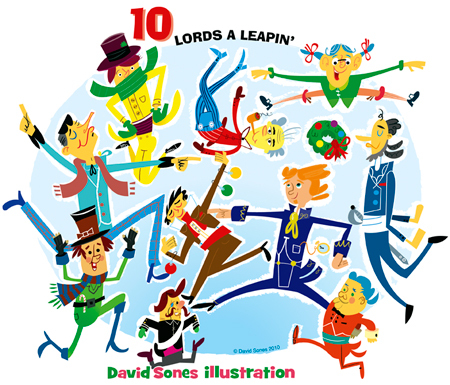 On the Tenth day of Christmas my true love gave to me, Ten Lords a Leaping..
On the eighth day of Christmas my true love gave to meeee.. 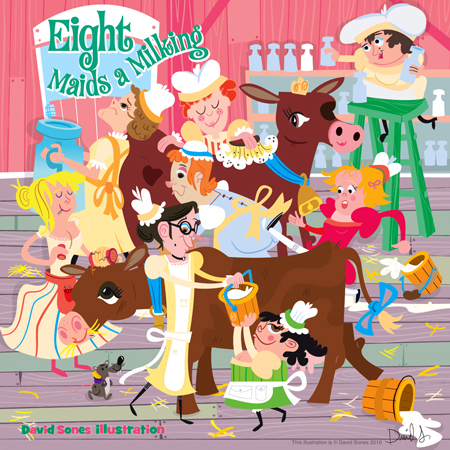 Eight Maids A Milking.. When we decided to do the 12 Days of Christmas theme here a the Doodle Diner, I was happy have the chance to illustrate the 8 milk maids from the song, because there is so much opportunity to create funny characters, and crazy mishaps. In design they sometimes say less is more, but I say “that’s silly, because more is always more!” Please have look back at the days 1 through 7 if you missed them, and keep following along with The 12 Days Of Christmas at the Doodle Diner! I am so excited that this video is on youtube. What better guest could there possibly be at the Doodle Diner? Seriously, this theme song has been in my head since about 1975. The best episodes of Captain Kangaroo were hands down the ones that had SIMON in them. I loved watching this before school, and then being able to daydream all day of a world where the things I draw come true. So….doodling minds need to know: what character or characters from your past have stayed with you into your adulthood? 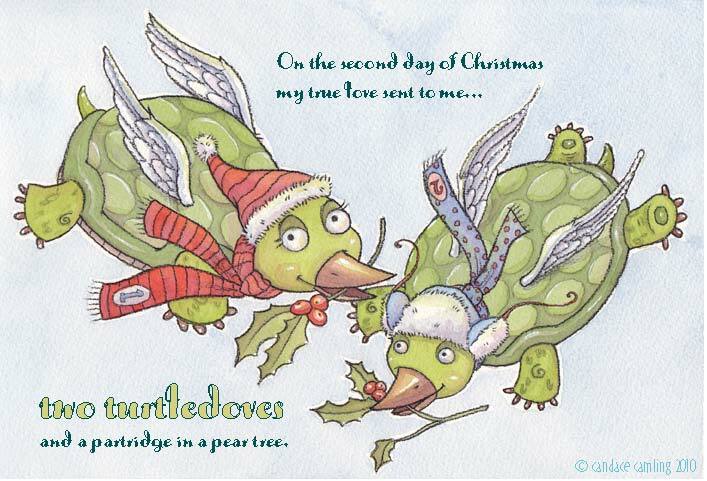 And if you really want some brownie points, tell us why! p.s. And for you youngsters who have never heard Simon before, I dare you to listen to this theme song and just TRY to get it out of your head. I will check back with you in about 2045.